This is the FT SeaAngel. The Sea Angel is a unique aircraft modeled after Porco Rosso’s plane from the 1992 Hayao Miyazaki anime film made by Studio Ghibli as well as the 1925 racing plane, the Italian Macchi M33. It's sure to be a head-turner wherever you fly it. The SeaAngel is a scale flyer that can be can be flown 3-channel or 4-channel with optional ailerons. The build process is challenging, yet rewarding so if you are new to building this might not be the plane to start with. For a top-mounted motor design, the plane balances well. It is a good first seaplane and can help you learn to correct for torque when increasing throttle. Definitely a tricky build, getting everything nicely aligned, but I really like how it came out. Also be forewarned, if you want to fly this plane 4-channel it needs FIVE control horns (because the elevators are separated), the kit I received only came with four. Hopefully they start throwing in an extra or put a footnote in the description. 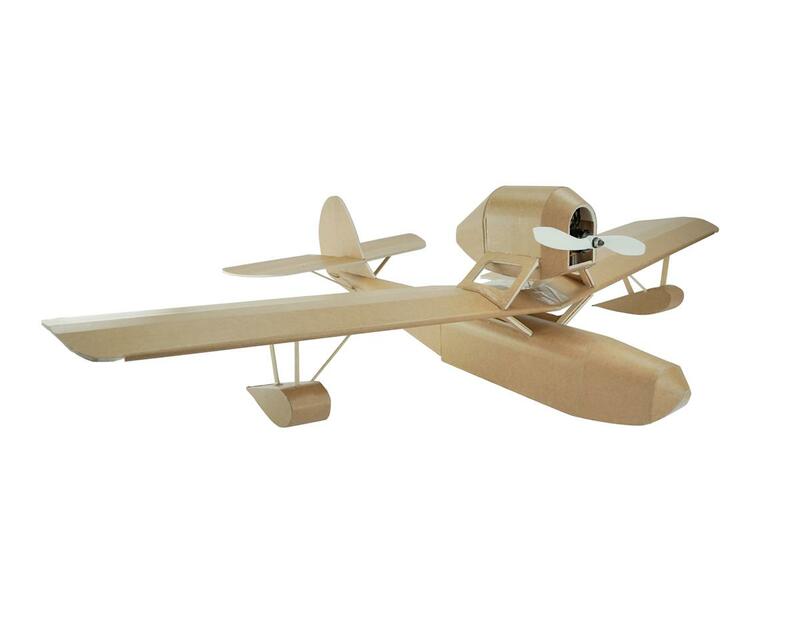 What is Flite Test Sea Angel Electric Airplane Kit Wingspan?? ?